Ugandan Diaspora News Editorial | January 2016 | Can A United Opposition Force A Second Round of Voting In Uganda’s Poll? For starters let me wish you all a wonderful New Year and also acknowledge all the support you have accorded us at Uganda Diaspora News through the years. We have surely come of age and hope that this year we can start monetizing this service since we can now say that according to our Google Analytics we enjoy readership from more than 100 countries across the globe. Another note of appreciation goes out to all who attended our 5th annual Diaspora gathering in Kampala last month. The business breakfast was a particularly huge success, attracting more than 200 delegates. We anticipate that the turn out at the end of this year might be doubled, owing in part to our new media partners NBS Television that carried the Diaspora breakfast LIVE on their channel. At the gala last month we recognized some outstanding achievers that included James Aguma, Chief Financial Officer of South African Broadcasting Corporation, Stephen Tio Kauma – a Director at African Export Import Bank, Josephine Ssenkungo a senior Director for Nursing in the State of New Mexico, Victoria Ssekitoleko a former UN-FAO representative for China and Victor Ochen, the youngest Nobel Peace Prize Nominee for 2015. What started as a small idea to recognize and celebrate the power of the Ugandan Diaspora has now evolved into a major event that attracts a cross-section of Ugandans and businesses that target the Diaspora. This year we hope to take it to a new high given some of the names the event is attracting. To those that continue to support us and the vision to help grow our Diaspora constituency we thank you. Turning to politics– Uganda is gearing up for another election year with 9 candidates vying for the nation’s top job. The race is believed to be between the incumbent President Museveni running for his 5th term on the NRM ticket, Kiiza Besigye running for his 4th term on the FDC ticket and former Prime Minister – Amama Mbabazi – running as an independent on the Go Forward/TDA ticket. However the presidential race this time round seems to lack a certain spark as there is hardly any major political activity in Kampala and the Central region, a sign that the election outcome might be a foregone conclusion. The failure of TDA to unite under a single candidate might come back to haunt the opposition. Although Besigye commands the biggest crowds among the opposition candidates some feel that due to his failure to defeat Museveni in his 3 previous attempts he might fall short yet again. However the emergence of Mbabazi on the scene had energized some who thought as an NRM insider he would be the real change candidate but his campaign seems to have suffered some major setbacks prompting some to question his real chances to defeat Museveni. Luckily for Uganda for any candidate to win the general election he or she requires more than 50% vote to carry the day and be declared a winner. It is therefore hoped that the two leading opposition candidates will prevent this from happening and perhaps force a second round of voting! 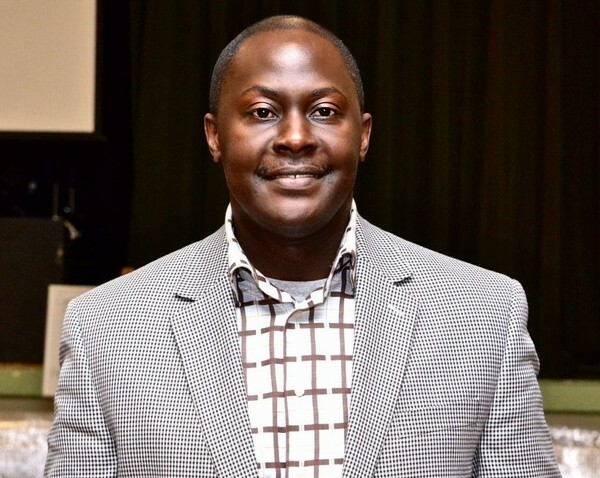 The other recent story making news has been the counter accusations and disappearance of Christopher Aine, a former aide to presidential candidate Mbabazi, that could be a game changer in this election. The family of this missing person has been asking for answers while the Inspector General of Uganda’s Police Force has been asking for those with information that might lead to Aine’s arrest to come forward leaving many in public to ask who was fooling the other. Aine is accused of fanning the violence that transpired in Ntungamo a few weeks ago. The level of mistrust and the failure of the Uganda Electoral Commission to address these issues including electoral violence in a non partisan manner seems to be leading to further divisions within the electorate as the ability to conduct free and fair voting at the polls comes into question. We now see little or no differences between party and state activities. The recruitment of crime preventers that some believe are militias meant to intimidate the voting public has been a point of concern even though the IGP prefers to call it community policing! And so as we head for elections with questionable opinion polls that seem to place President Museveni ahead of the other two contenders we might be in for another rap!. Thirty years is a long time to be in office and I do not know what the aging President would do in the next 5 years given how first things are changing in Uganda. The President keeps pointing us to two civil servants or call them cadres that have done well of-course in-part because they enjoy the ear of the President (names withheld) however one was recently spotted on the campaign trail – a move that seems to contravene government law regarding partisan/electoral politics. Sadly, we have encouraged the growth of individualism at the expense of building lasting institutions. It is apparent that the culture of ‘the man with the key’ has left or ‘orders from above’ is the new way of doing business in Uganda. The whole government apparatus seems to only function if the President and his trusted loyalists seems to endorse the agenda. This has also meant that every appointee in most cases comes with his team of trusted inner circle people, resulting not only in patronage but malicious terminations in some cases. We can only pray that the truth shall set us free as we await to see a change similar to that experienced in Kenya and Tanzania. Magufuli belonged to the CCM party yet by President Kikwete stepping down and the party delegates conference appointing a new flag bearer Tanzania allowed continuity and progress. Today Tanzania has changed leaders a record 5 times and maintained stability. Ugandans continue to hope for a new breed of leaders, not the same recycled politicians that have now become increasingly known for their slumber during sessions of Parliament and political meetings. A political debate is long overdue to help put the issues into perspective–only then will the voters make an informed decision in our political playing field that has increasingly been monetized at the expense of service delivery! Oh Uganda May God Uphold Thee!